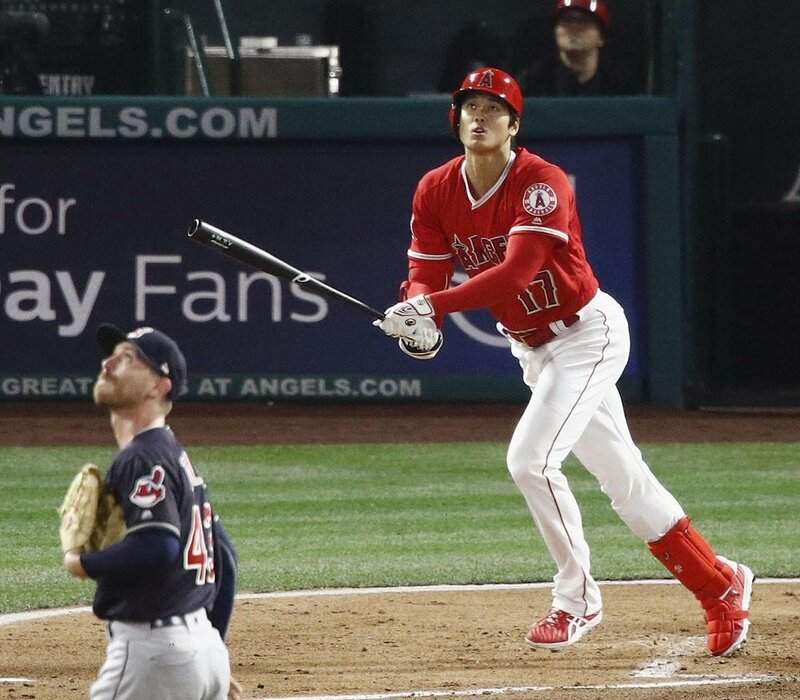 Shohei Ohtani homered in his first at-bat in the Los Angeles Angels home opener as he took Josh Tomlin of the Cleveland Indians deep. Away back during the courtship period -- long before free agent Shohei Ohtani signed with the Los Angeles Angels -- we asked a scout the player’s best attribute. “His speed,” said the scout who had been to Japan. Thoughts of that November conversation came to mind Wednesday watching Ohtani effortlessly lope home from second in the top of the ninth. He scored what stood as the game winner on Andrelton Simmons’s two-run single. The Simmons single capped a four-run ninth for a 5-4 Angels win. So to recap Ohtani: his fastball averages 98 MPH, his smooth left-handed swing deposits balls into the second deck ... AND ... he’s fast. Angels general manager Billy Eppler estimates Ohtani would be clocked home-to-first in 4.0. Not spectacular. Not Maury Wills or Vince Coleman. Walker, of Maple Ridge, B.C., stole 230 bases, including 33 with the 1997 Colorado Rockies. Eppler grew up in San Diego watching Tony Gwynn slash line drives all over Jack Murphy Stadium on his way to winning batting titles for the Padres. Hideki Okuda of Sport Nippon, the dean of ball scribes from Japan, after Gaku Tashiro returned to Tokyo, has been covering players from his country from his base in Los Angeles for more than 20 years. His first season was covering Hideo Nomo’s third year in 1997 with the Los Angeles Dodgers. And he was there for Kazuhiro Sasaki’s arrival in 2000 as the Seattle Mariners closer, Ichiro Suzuki’s arrival with the M’s in 2001, Daisuke Matsuzaka with the Boston Red Sox in 2007 and Yu Darvish with the Texas Rangers in 2012. Two Blue Jays scouts who saw Ohtani declined to comment, one politely. They remain under the Cone of Silence Alex Anthopoulos installed. In Japan, Ohtani spent five seasons (2013-17) as a member of the Nippon Ham Fighters and was a five-time All-Star and 2016 Pacific Coast League MVP. On the mound he combined to go 42-15 with a 2.52 ERA and 624 strikeouts. At the plate he hit .286 with 48 home runs and 166 RBIs. His final two seasons he batted .328. When Ohtani visited Anaheim a group of eight executives made a presentation to Ohtani: on what life was like in the Angel organization, every day, every month, from spring training until the end of the season. Mike Trout phoned in on FaceTime to speak. 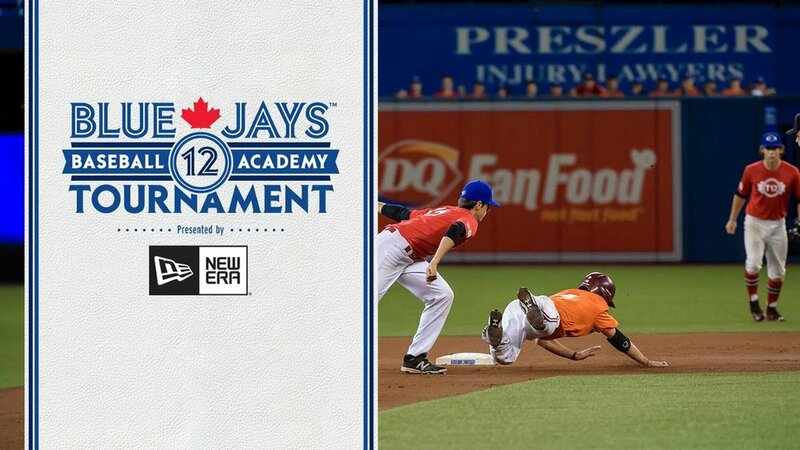 DH Ohtani slide in safely ahead of the tag of Blue Jays catcher Luke Maille. “I think having the chance to play with Mike might have been a factor, it helped that we were on the coast,” said Eppler, who lives on Laguna Beach. To help the Angels cause Eppler cooped up sand as a souvenir. The Ohtani delegation was presented with Omiyage gifts, a custom in Japan. They gave him Martin Maldonado and Andrelton Simmons bats left behind at the end of the season. The only two Blue Jays AL rookie of the year award winners both sit in the Angels coaches room: first base coach Alfredo Griffin (who won in 1979) and Eric Hinske (2002) is the hitting coach. Ohtani had a troublesome spring for the Angels batting 4-for-32 (.125) with zero home runs and one RBI while fanning 10 times. On the mound, he allowed nine hits and nine runs in 2 2/3 innings. Like many Japanese hitters, Ohtani had a pronounced leg kick when he arrived in Arizona. Hinske noticed Ohtani was having trouble timing pitches with the kick, so he suggested losing the leg kick, keep his foot down and go with a toe tap. Hinske and the Angels thought Ohtani had too much head movement. Former Blue Jays and Angel Vernon Wells watched Ohtani take swings during batting practice shook his head and described the rookie as “a freak,” in a clubhouse complimentary way. Angels Bill (William Hambly) Stoneman, senior advisor, baseball operations and former GM, made the trip. Ohtani became fourth player in modern era with more than 25 pitching strikeouts and four or more home runs in a month – the first since Chicago Cubs Hall of Famer Fergie Jenkins in Sept. 1971. Only two others, Wes Ferrell and Don Drysdale, has struck out as many and gone deep as often in a single month. Comparisons to Walker and Gwynn’s abilities. Accomplishment to match Jenkins, Drysdale and Ferrell. And some day he will be the best two-way man since Babe Ruth. 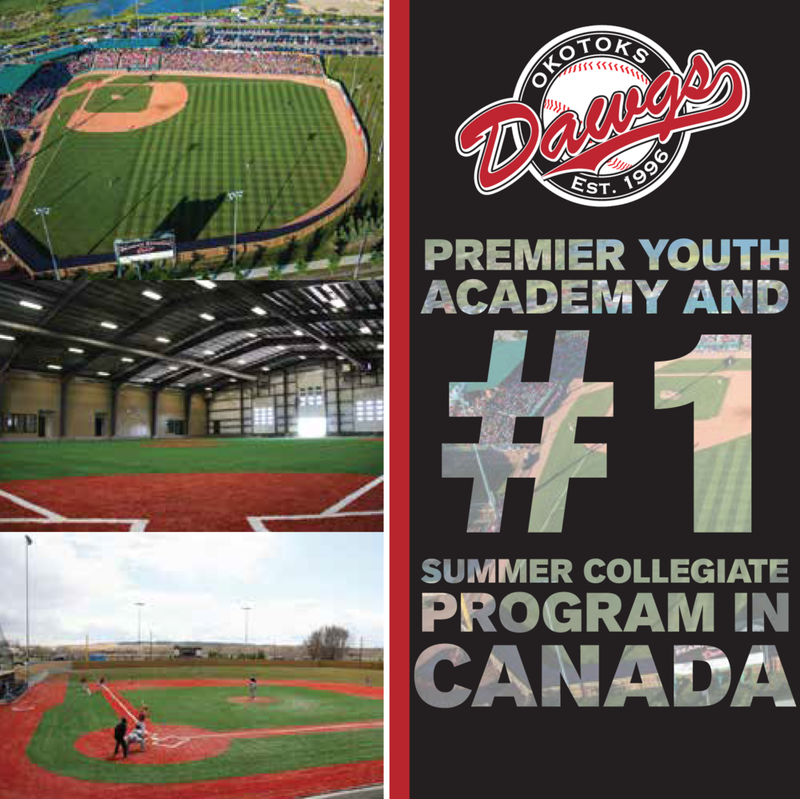 You are welcome here: Len Woods helps coach two teams in the Oakville A’s organization. His eldest son Jordan is a lefty hurler, while Trevy is an athletic catcher. Three years ago, on a weekend that both kids had tournaments, he spent Friday, Saturday and Sunday rushing from one park to another. Home again: After pitching for the Expos, Stoneman worked in Mississauga managing a branch of the Royal Trust and lived in Georgetown. His Georgetown neighbors will attend Thursday’s game. Stoneman visited his daughter Jill in Brampton in time for his grand daughter Eva’s 18th birthday.